When you spend spring/summer seasons in one state of the U.S. and fall/winter in another state, transitions from one place to another are often difficult. 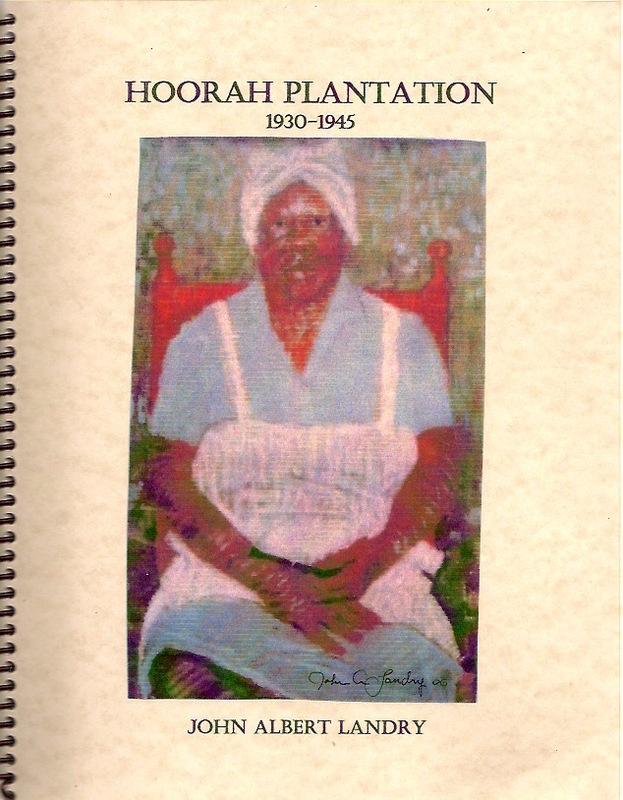 However, every time that I move back to Louisiana for the fall and winter seasons, I go through a little exercise that helps me “settle in.” I dust off my shelf of Louisiana books and find one that records the color and culture of my native state and sit down amidst the upheaval of moving to read. -I had to put my wife in the hospital — she was full of Noxzema — but they gave her an epidemic in the rectory and she’s getting better. -I don’t know why I’m gaining weight, I just eat one French bread for breakfast and put skin milk and sacrament in my coffee. -He’s so rich he must be a typhoon. -Well, you’ve buttered your bread, now you have to lie in it. -My aunt died of a cerebral hemorrhoid. Al Landry, who graduated from Tulane University with a Bachelor of Architecture degree, practiced architecture in New Iberia for many years and painted pictures of local characters, night life, and social activities in Acadiana. His wife Elaine taught private piano lessons and created soft sculpture dolls called “Grunchkins.” The couple opened Lagniappe Too Café in New Iberia in 1986 and operated it for over 25 years before retiring. I understand that Al is still playing the role of a raconteur at Garden View, just down the road from the point where his ancestors landed in flatboats and established Nueva Iberia. From the above excerpts, readers can see how such reading provided my immediate re-immersion into the culture of Teche country. I am one of those who tasted bayou water 51 years ago and was destined to always return, despite the mosquitoes dancing on my window panes, the mud and flood week-end, and the humidity that enveloped me after I descended from The Mountain at Sewanee, Tennessee. Back in 2008, Border Press published a verse retrospective of the 1940’s by me entitled Grandma’s Good War, a collection of poems reminiscent of a time when people felt that WWII was a “good war” because it would end all wars. I enjoyed writing the rhyming verse that I called “doggerel” —rhyming verse that I haven’t felt the need to write again, since free verse is my preferred way of expressing poetry. 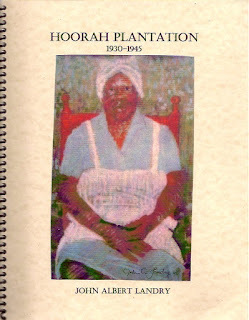 Recently, I expanded the idea of a Forties retrospective in a collection of poems that is a mini-memoir of a close-knit southern neighborhood during the 1940’s. 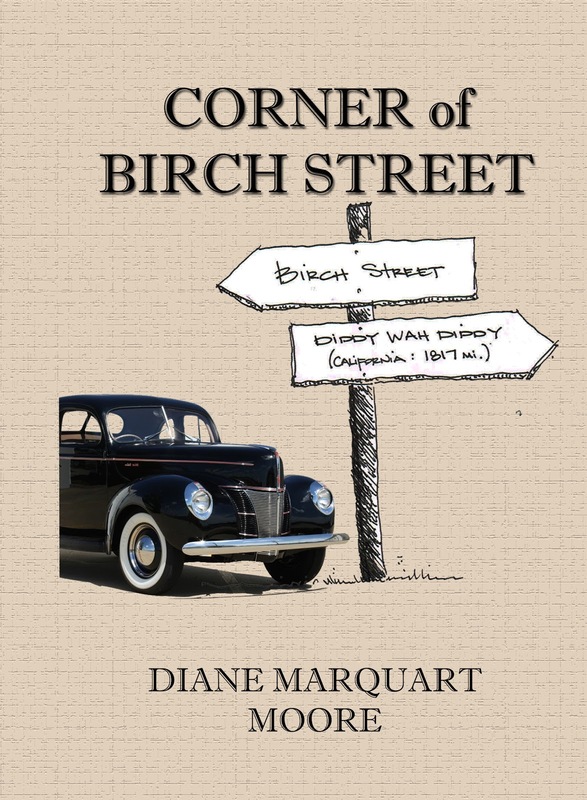 It’s entitled Corner of Birch Street and was intended to inspire feelings of nostalgia for young love, games of marbles, paper dolls, five-cent Hershey bars, and Mom and Pop groceries in readers who grew up during this period of American history. Inevitably, the poems also show social changes brought into focus by laws forbidding segregated movie houses, bullying among children, and child molestation. Poets often mine their dreams for subjects, and many of the poems emerged from dream consciousness. They showcase memories of growing up on a city street where “gangs” of the offspring of blue collar workers instigated outdoor games that had nothing to do with drug wars and street murders. Of a cold war headed our way. Available on amazon.com or by ordering from Border Press, P.O. Box 3124, Sewanee, TN 37375, borderpress@gmail.com. Years ago, Ruth Lefkovits, my good friend who was a Reformed Jew, shared with me a poem written by Pavel Friedmann, a 21-year old man who was born in Prague and died during the Holocaust. 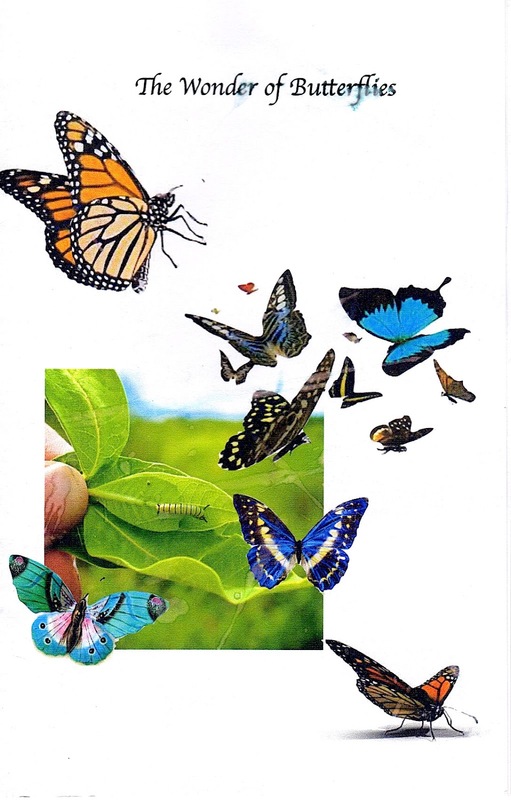 The poem dealt with the last butterfly he saw while imprisoned at Terezin, a Nazi concentration camp. Friedmann later died at Auschwitz in 1944. I thought about this poem last week when I attended a Friday evening candlelight service entitled “The Wonder of Butterflies” at the Convent of St. Mary, Sewanee. Although Friedmann’s poem was not among the poetry read, I left a copy of it with a friend who read a Native-American story during the service. Sister Elizabeth read three poems about butterflies, including one about the metamorphosis from caterpillar to butterfly, and the poems, as I said, were in sharp contrast to the stark one written by the poet who was a victim of the Holocaust. One of the highlights of the service was a reading by Alice Ramsey, a story entitled “Butterflies – Papago” by Buck Conner, a member of the Turtle Clan of Lenni Lenape Society, a Native-American Society commonly known as the “Keepers of the Earth.” Alice, reading in her soft Alabama drawl, told the story of how the Creator gave butterflies their myriad colors and, at one time, had given them the voices of songbirds, but birds complained that their own singing should be exclusive, and the Creator had already given the butterflies these brilliant wing colors and patterns… so the Creator took away the butterfly’s voices. But what short-lived creature with such fluttering beauty needs a voice? At intervals, the quartet played classical music that helped us come down a tone or two, followed by either prayers or hymns. Programs of this quality were initiated last year at the Convent, and they focus on raising spiritual consciousness about environmental concerns and the natural world through music, prayer, meditations, and visual presentations. After 30 minutes or so of engagement in the service, I got very quiet inside and realized that I was again in the “thin place” that is the Convent of St. Mary and that I’m blessed to live and worship in this sacred space part of every year.